If you have a small repair job in your home, or something you need fixed, it is often the help of handyman services that you need to get the job done. They can do most things, it seems. It is the person who grew up while being married to their tool box. If you are not very handy, and you need to have furniture assembled or help putting up a poster, you should try calling this pro. Not sure about which tasks a handyman can help you with? We have gathered a list of the most common types of work that they will be able to help you with. By reading this list, you will know who you need to call next time you have such a task that needs to be fixed, and if they’re the right ones to call or not. Sometimes it can simply be worth it to get the help of someone rather than having to struggle with the task yourself. What are the Usual Services They Offer? Handymen are very skilled individuals that have a lot of experience with a lot of different type of repair jobs. Rather than specializing in a specific thing, they like to be able to do almost everything. If you need someone who is highly specialized for a job, they’re however not the one to call to get it fixed. It also means that there may be some jobs that certain handymen don’t do, while others do. A lot of them will be able to both install drywall, plastering and repair it if someone accidentally made a hole in it. If you’ve got a handy bone, it’s not hard to seal the cracks and replace broken parts. You may not be able to do it as well as you’d like, and if that’s the case, you should consider getting someone who has more experience with it than you do, come and do it for you. When you’re repairing drywall for whatever reason, it may also be needed that you address the crown molding, if you’re replacing a bigger piece. If you have had special crown molding made, you may end up needing the help of a carpenter, but if a new wall is installed, the handyman should simply be able to move the crown molding to the new wall instead. If you have a house with a big backyard, you also know that there will be a lot of work related to it, which includes cutting trees, making sure bushes look pretty, making small repairs to pathways, and finding out why the lawn sprinkler has suddenly stopped working. If you are able to find a handyman that you like, you might choose to use him for all your odd jobs, instead of having to find individual contractors for each of them. As mentioned, if there’s any type of maintenance job around the house, they’ve probably done it before, and will be able to do it again for you, assuming it’s a job that doesn’t require a specific license. 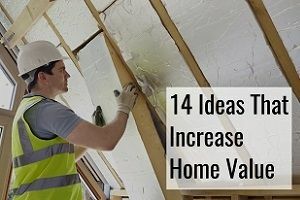 As previously mentioned, a lot of home improvement projects require special types of licenses, which ensure the safety of those needing it done, as well as the integrity of the work that is being done. Electrical work can be dangerous, if you don’t know what you are doing, and it is therefore a type of work that you will need to contractor a licensed electrician for. It could be that the handyman also possesses the necessary license to do electrical installations, but if it is not the case, you will need to hire someone else. It takes a lot of special knowledge and experience to avoid making unstable electrical installations, which is why it is an entire education in itself. The same way that there are some handymen that have obtained the necessary licenses to do electrical work, there are also some that have done that, but for plumbing instead, so they’re able to do the work of plumbers. This too requires special licenses in plumbing if they need to handle more elaborate projects that include water, piping and other plumbing responsibilities. A licensed plumber can be hired to fix your plumbing system and everything that is included within it, including the kitchen and bathrooms and their water needs. If you are able to find a handyman who is either also a licensed electrician or plumber, he might be willing to offer you a discount the next time you have more work coming up, since you’re using him for more services. It can save you time in screening different contractors, and money if he offers you a discount. The alternative would have been to hire different people for each different repair job you have at home. 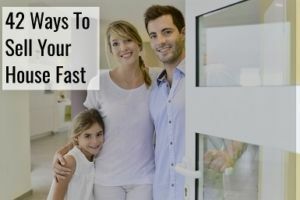 Installing a window or a door, as well as figuring out why they’re not working the way they’re supposed to, is a thing that a lot of handymen can do for you. If you need to change a lock, or one of the hinges has been damaged, ask them what it takes to repair it. If you are not talking about a big window project, a handyman is probably the guy who can get the job done. Make sure to check that there are no license laws in the state that you reside in that keep them from legally performing these types of jobs. Ask them what type of experience they have with this work, and if it is a job they believe they’ll be able to do for you. When was the last time they did a window repair or installed a door? Making minor repairs to your gutter system is something that most handyman have experience doing. If a clog is created and the water doesn’t drain properly, get someone to take a look at it, if you fail to identify the problem, or just do not wish to do it. The same is the case with some siding repair jobs. It may not be all of them that are comfortable with gutter related repair jobs since you will be working on a ladder, and be standing high up. If you have bought prefabricated crown molding, or the stuff you have no longer stays attached to the ceiling, you can try asking a handyman. 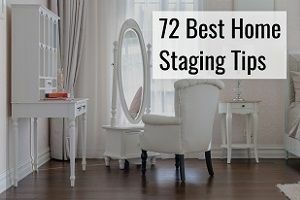 They probably will not be able to create advanced, custom molding for you, but that is not necessarily what most people have in their homes anyway. If you have basic molding installed in your home, getting the help of a handyman should suffice. If you have minor repairs that need to be done in the bathroom or shower, a handyman will help you, as long as it is not something that requires a plumber’s license, assuming the pro does not possess one of these. Maybe a tile broke, and it needs replacement, or your bathroom fixtures are causing you some issues. Again, you need to make sure that the type of job you are asking the handyman to do does not require a license. Most people will not get around to giving the deck the attention it deserves or needs, which is why you need to call a handyman. In order for the wood to keep its magnificent condition, it will need to be sealed on occasion, and according to the instructions of the manufacturer. Doing so will not simply make it beautiful again right now, it will also make it last longer. If you do not have time to repair or maintain your deck, you can hire someone to do the work for you. From cleaning the deck boards, balusters and stairs to refinishing it and applying protective coats, these services are provided by a pro. With any type of home improvement project, it is necessary that you research the need for licenses within that given field. Different states have different regulations, and just because a handyman can perform one kind of work in one state does not mean he can do it in another state too. 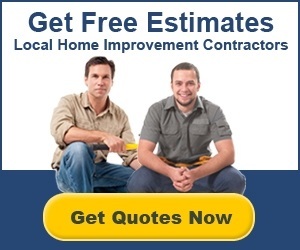 The easiest way to get quotes from handymen near you is by going to the top of this page and filling in the form. You’ll be contacted by up to 4 handymen, and can then screen each of them to see if you feel like they’re a good match. If not, there’s no obligation to sign with any of them.